Whether you are on the water or on the land, find your vessel now with Morse GPS tracking! Question: Do I have to have a cell phone or purchase cell service as well as C2M service? Answer: No, C2M™ provides a complete service including the marine GPS tracking unit, software and network connectivity to the marine GPS tracking unit. All you need is a PC with an internet connection and a marine vessel to track! Question: Is it difficult to install? Answer: Connect the power (red wire) to a 12 volt power source and the ground (black wire). The antennas are internal so there is no installation necessary for those. Place the marine GPS unit in the ruggedized box with a clear view to the sky for the best GPS reception. 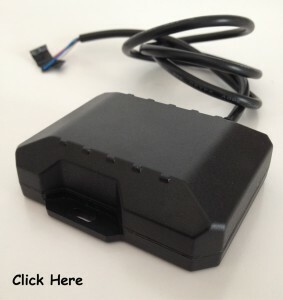 Question: How much does the C2M™ GPS tracking unit cost? Question: I need to track my yacht every minute for a couple of days. Is this something I can do? Answer: Every-minute continuous tracking is available as an upgrade to the per-locate service plan. The cost per month is $39.95 and you can purchase as many days as you would like. Every-minute tracking is not available for tracking in Mexico. Question: Where will the C2M™ GPS tracking unit work? Question: Is there an extra charge for the water resistant case for the C2M™ unit? Answer: The water resistant case is included with all C2M™units along with a power adaptor for battery charging.